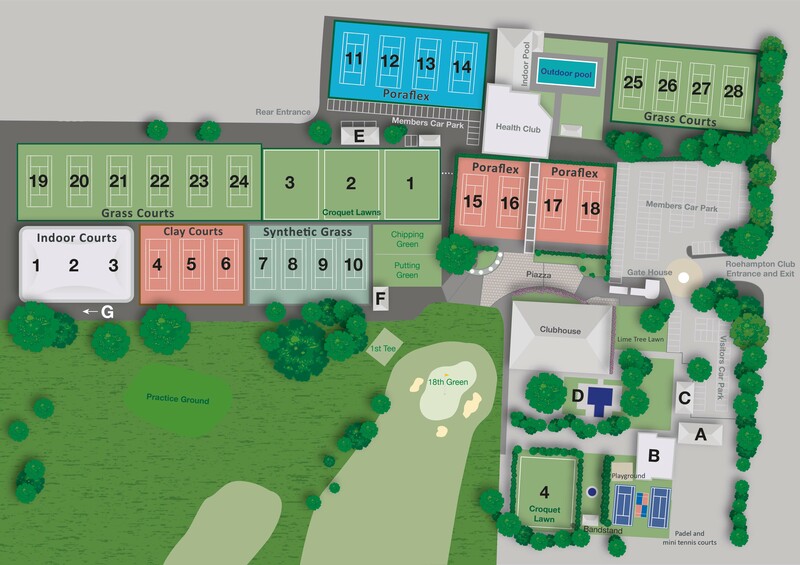 All courts (except grass) are bookable two weeks in advance. Grass courts may only be booked at Reception on the day. More than three consecutive 30 minute court bookings slots are not allowed unless playing a match. Court 11 is primarily reserved for ball machine use and should only be booked if no other courts are available. Courts not taken within ten minutes may be released and booked by another Member unless notice has been given to Reception. Members are asked to cancel bookings if unable to play. This includes cancelling in bad weather as everyone has a different definition of 'bad' weather. Other Members may wish to switch surface in these circumstances. Members are also asked to ensure they have checked in at the Club prior to using their court â€“ failure to do so will result in a 'no show' email being sent. This is in an effort to make sure every booked court is used. The booking of two surfaces (grass and all-weather or indoor and outdoor) simultaneously is not permitted. You should only book one surface but may transfer to another surface in the event that courts are available. The surface that you transfer from must be then released. The playability of all courts will be decided by the Senior Duty Groundsman or in their absence, the Duty Manager.